A friend complaining about her skyrocketing water bill. Parents worried about bathing their children in water known to be carcinogenic. Witnessing young salmon once again flourish on seasonal rice fields. These are just a few of the water stories that colleagues and I, representing a range of sectors within the Central Valley and coastal region of California, shared in a new report that provides recommendations for incoming Gov. Gavin Newsom to create a healthier and more resilient water future for the state. 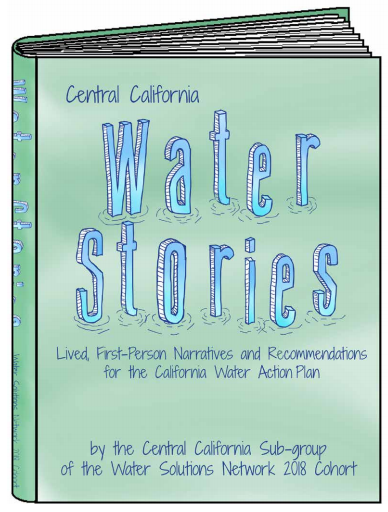 We believe that sharing our own first-person narratives is a powerful way to highlight the critical importance of engaging neglected constituencies, fostering creative partnerships and developing innovative funding mechanisms for water management in California. The Central California Water Stories report was one product that culminated from an eight-month leadership program called the Water Solutions Network, created by Coro Northern California, DIG IN and Water Education for Latino Leaders, with sponsorship by the S. D. Bechtel, Jr. Foundation. The network prepares water leaders to cross boundaries, connect resources and choose bold action to ensure sustainable and equitable water management in California. My colleagues’ stories touched on such issues as educating the general public to increase understanding of the complex water system and individual water bills; providing safe, clean drinking water to all Californians; and finding a path for working agricultural landowners and managers to support critical habitat for wildlife and fish. My own story focused on the role that landowner incentives can play to achieve multi-benefit solutions, generating a winning trifecta of growing crops, managing floods and creating habitat. Growing up in a rural part of the Central Valley, I experienced firsthand the extremes of the state’s variable climate, and how winter rain storms would flood roads and neighbors’ homes. Local flood control agencies would conduct maintenance and operation on a regular basis, but in a silo and largely to meet a singular need, independent of local farmers and the environment. 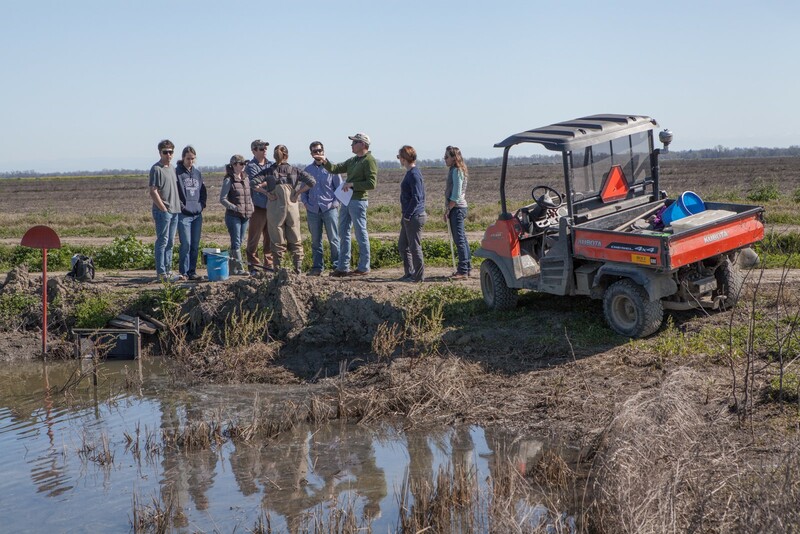 An exciting turning point came a couple years ago, when local flood control leaders in the Sacramento Valley agreed to work with nonprofit organizations, regulators and local landowners to explore a new approach to help better meet the needs of farmers and the environment. This approach tapped into the California Department of Fish and Wildlife’s Regional Conservation Investment Strategies (RCIS) program, created by a new law in 2016. The RCIS process brings together diverse stakeholders to create a common regional vision and identify conservation and habitat restoration to help vulnerable wildlife. It has opened the door to compensate landowners for creating large areas of connected habitat through the use of mitigation credits, which state and other agencies often must purchase to mitigate the environmental impact of large infrastructure projects, including for flood control, to comply with state laws. As a result of this RCIS process, landowners are slated to create more than 1,000 acres of habitat for wildlife as well as more effective flood management in the Sacramento Valley by early next fall. EDF’s Ann Hayden and other California water leaders assessing potential restoration sites on working lands in the Sacramento Valley. My colleagues and I, who were part of the inaugural Water Solutions Network cohort that “graduated” last week, are optimistic that stories like this will inspire and inform the next governor as the state continues to grapple with the real-life impacts of climate change and water scarcity. We found that by listening to each other’s stories we could more effectively cross political, cultural and economic divides, and build a better understanding of how to create a more resilient and healthy water system. My personal hope is that these stories motivate Gov. Newsom to hear from people on the ground affected by water policy decisions, collaborate across stakeholder groups, and consider regional conservation investment strategies for managing our water and land resources to achieve multiple benefits. Human voices are critical. After all, as my colleague Rene Henery of Trout Unlimited wrote in his story, “we are all connected by water.” This goes for our next governor, too. This entry was posted in ecosystems, western water and tagged california, Newsom, water. Bookmark the permalink. Both comments and trackbacks are currently closed. I opened and read most of the stories in Central California Water Stories and found it to be a valuable report in moving this state’s conversation about water past the statistical analysis and into real stories about what it takes to move water policy forward: people collaborating to develop successful local and regional solutions that become “best practices” to guide more local and regional solutions. What is so clear when you read these stories is how motivated people are to collaborate and innovate. Again, this is a valuable report. I will use it this spring to teach the students in a community college water technology program about California’s water issues and how we solve them. To the authors — Thank You.